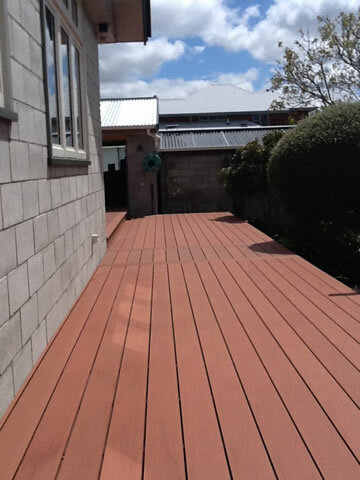 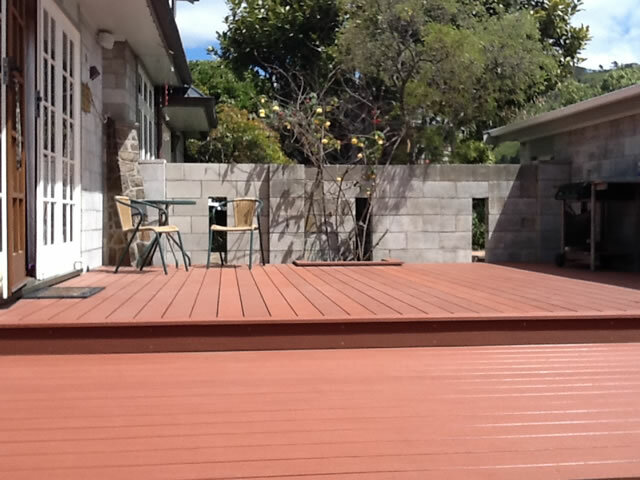 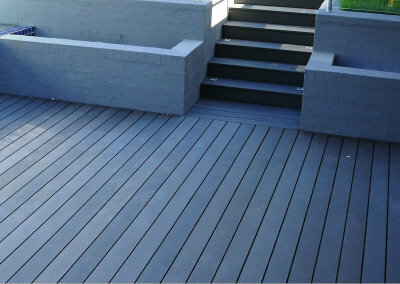 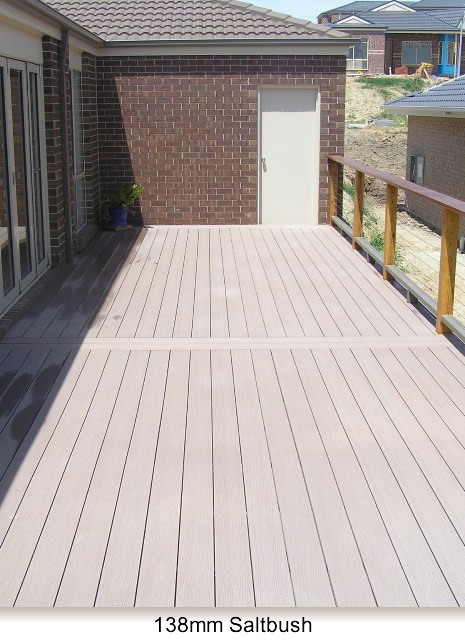 Futurewood Composite Decking has been designed to allow you the choice of an environmentally friendly and low maintenance deck all in one product. 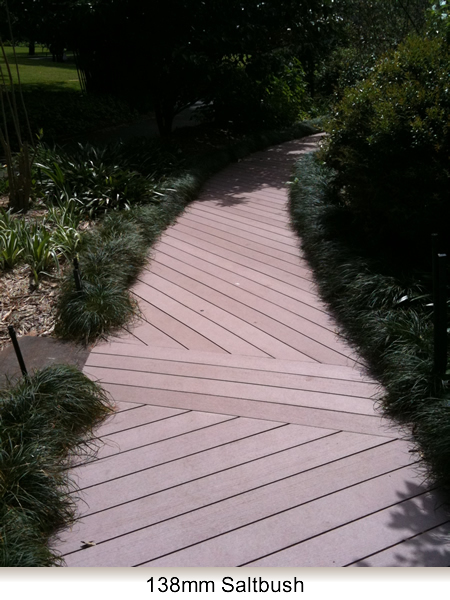 Be comfortable knowing that you have made an economically sound decision that won't hurt the environment. 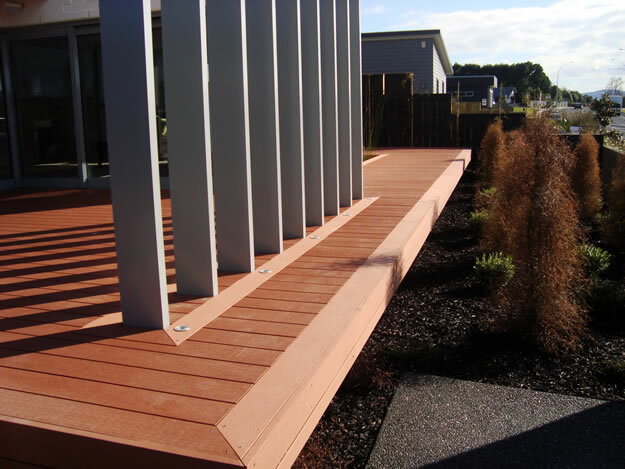 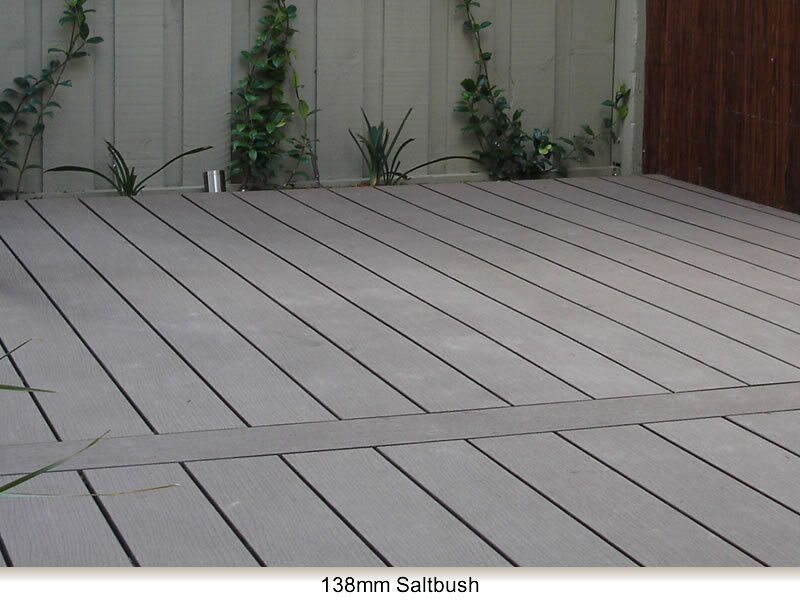 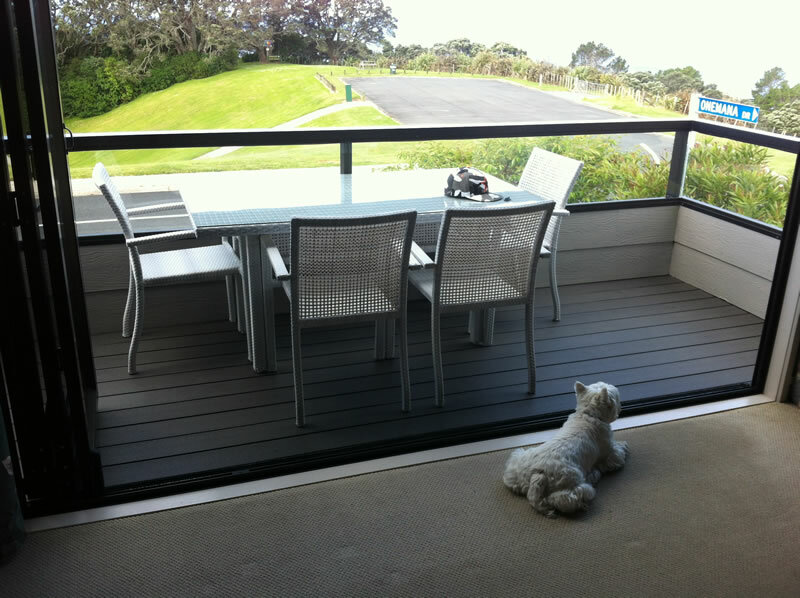 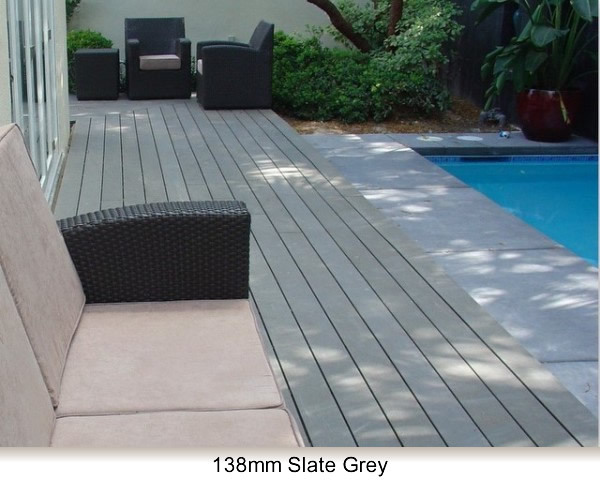 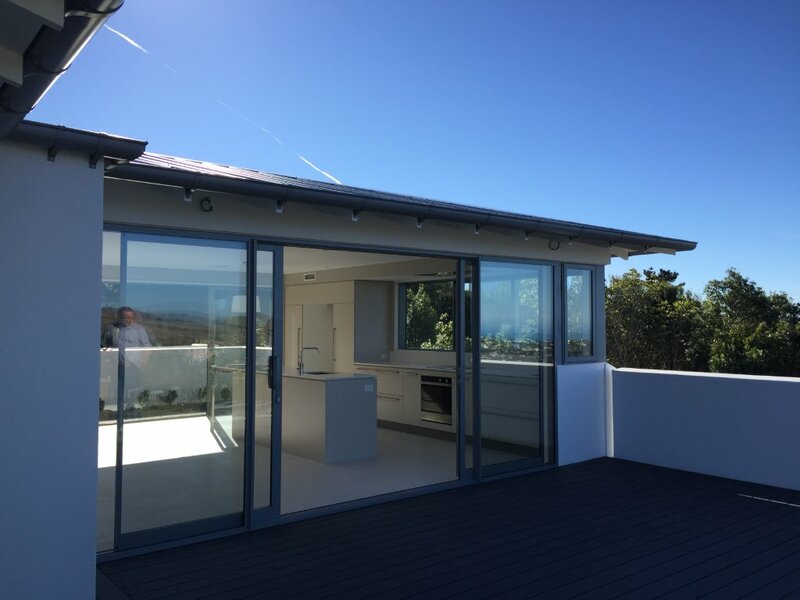 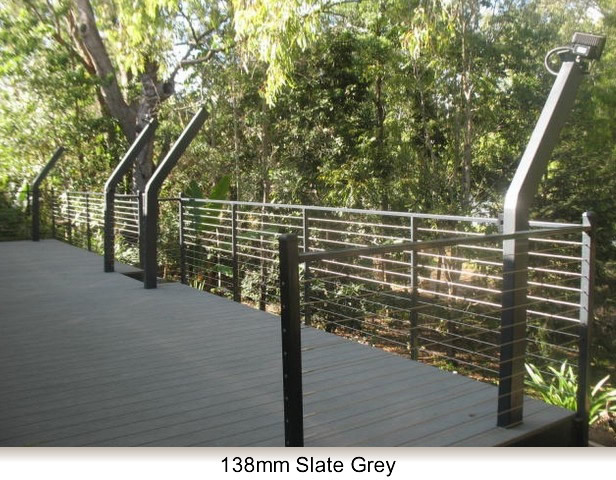 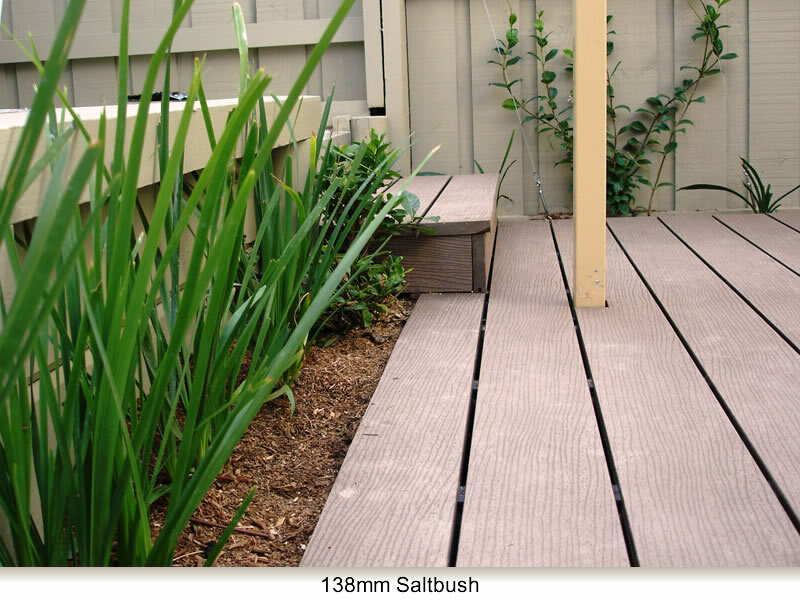 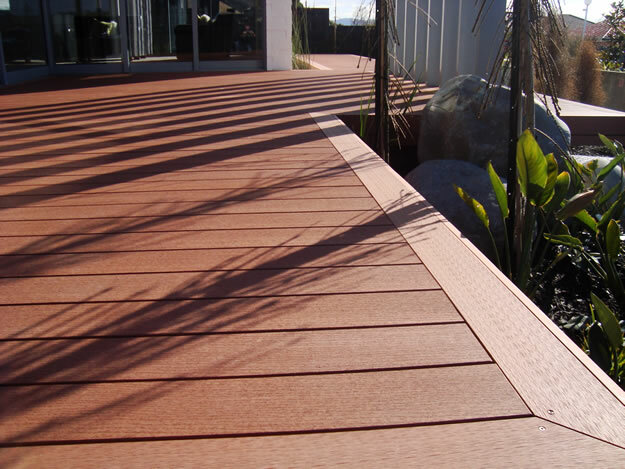 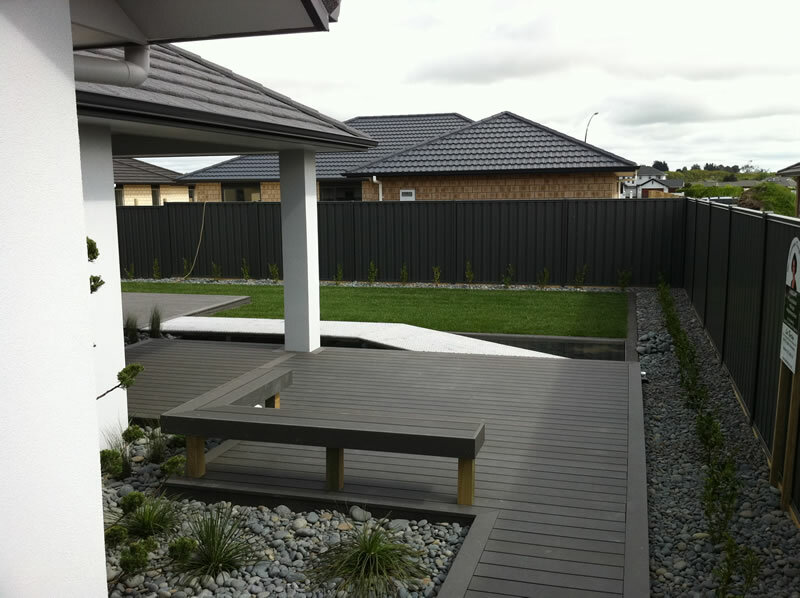 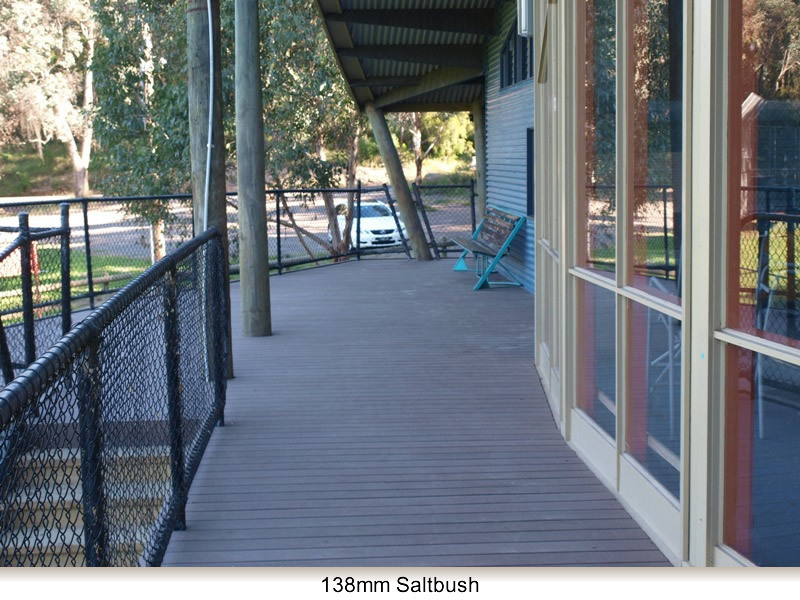 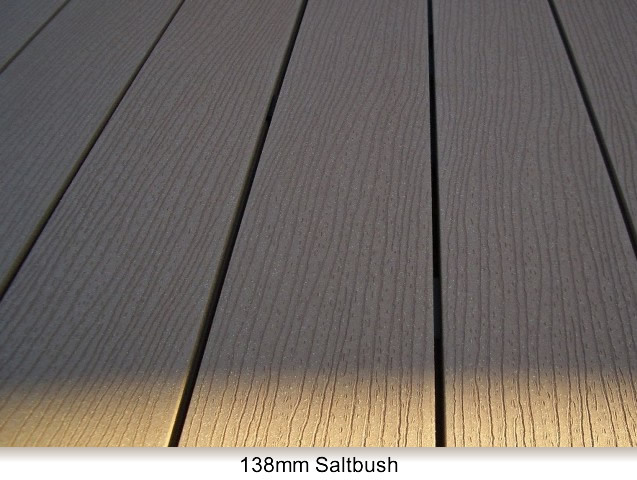 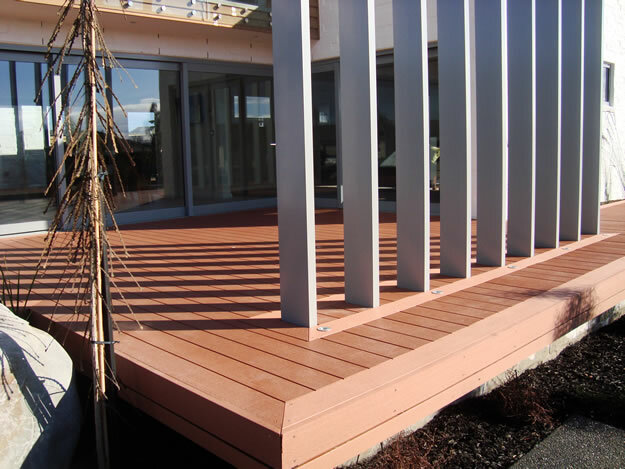 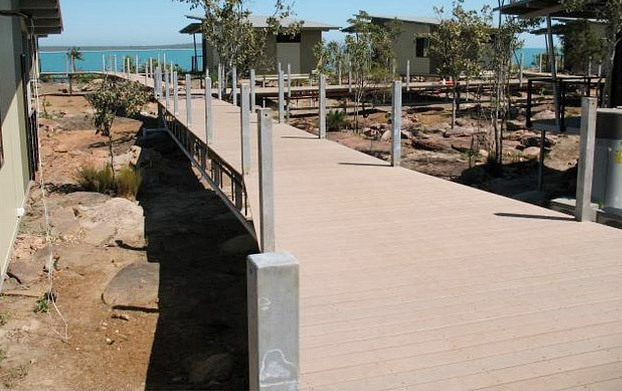 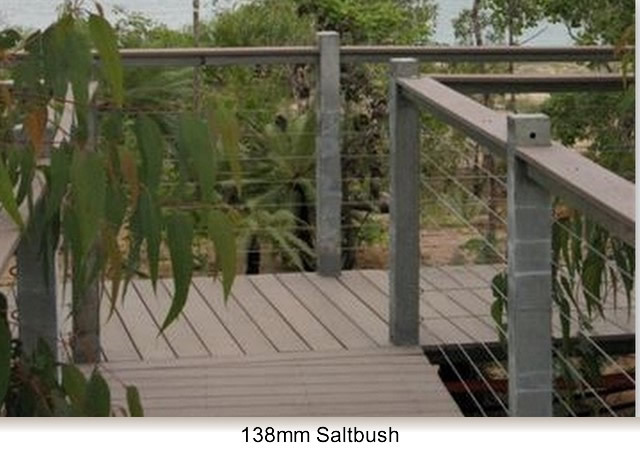 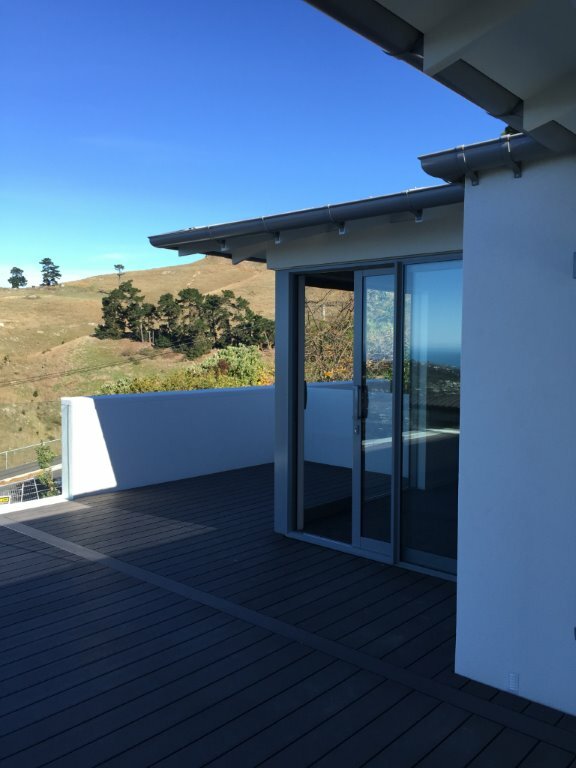 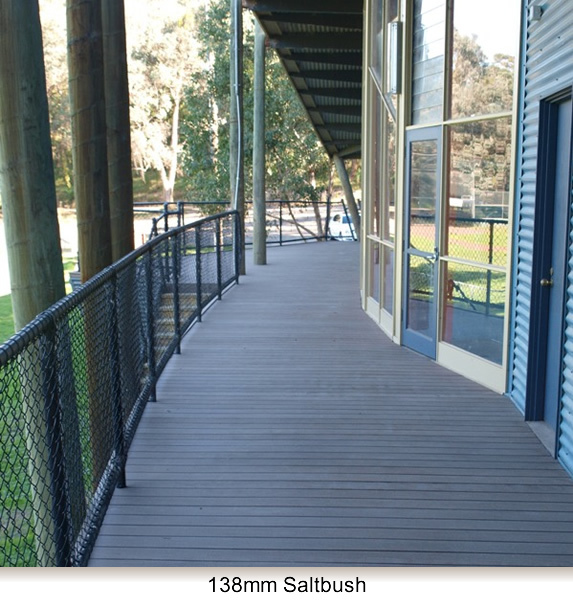 Why use Futurewood - an alternative to Timber Decking? 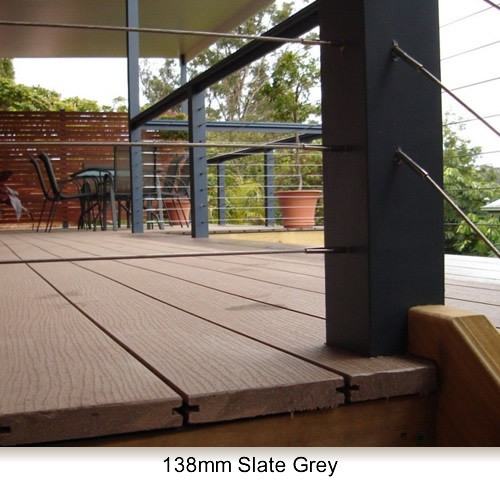 Futurewood is available in 7 standard colours: Slate Grey, Ash Grey, Chocolate, Walnut, Salt Bush*, Sandstone* and Mahogany*. 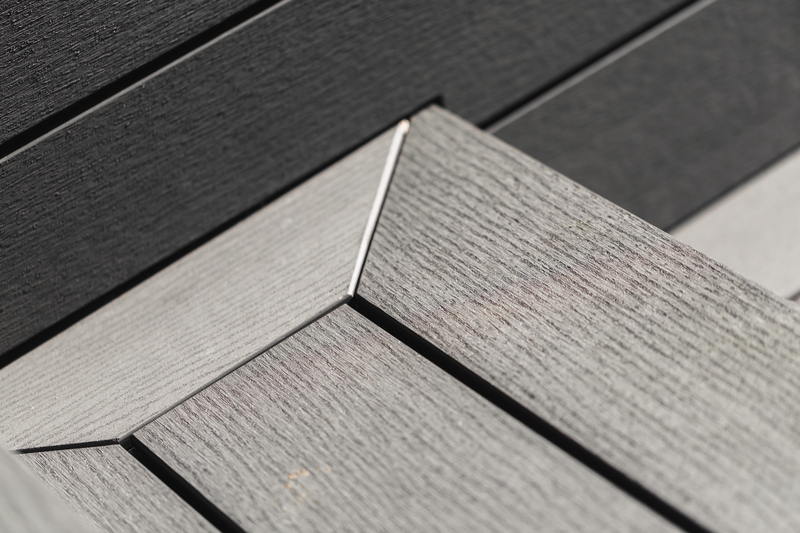 Futurewood is supplied with the convenience of a wood grain finish look one side and a standard finish look at the other side. 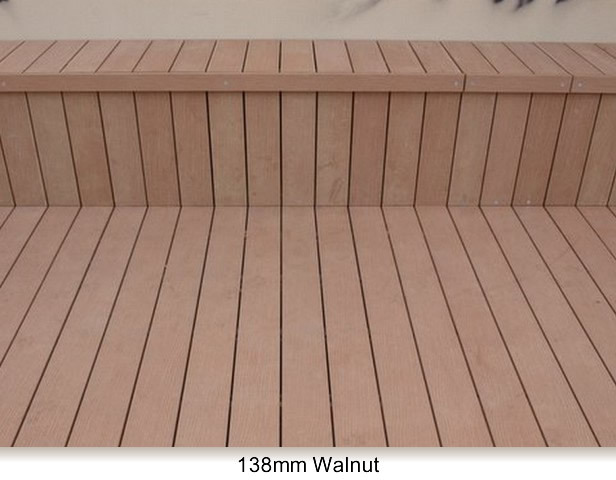 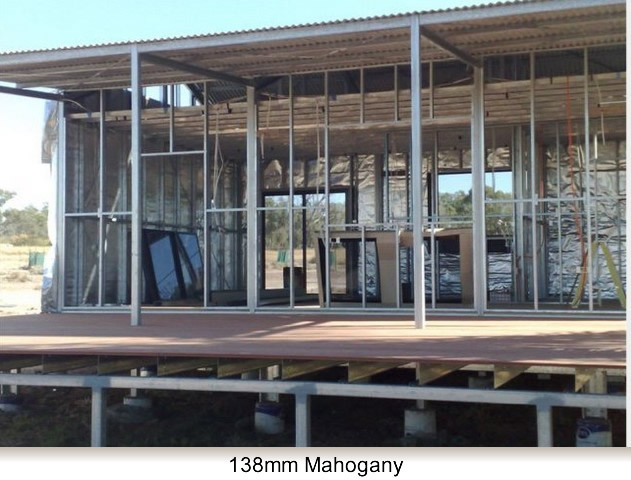 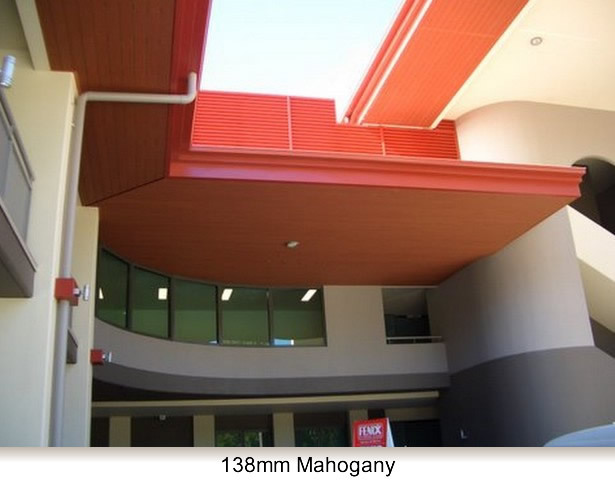 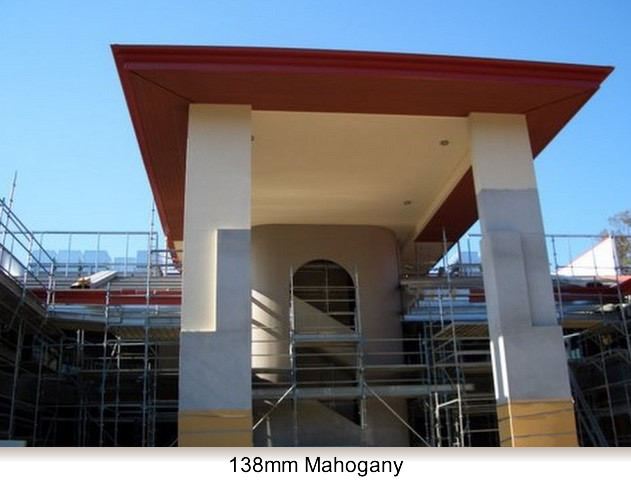 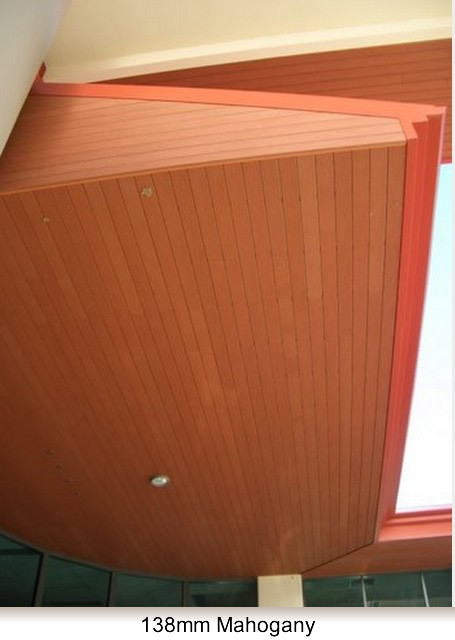 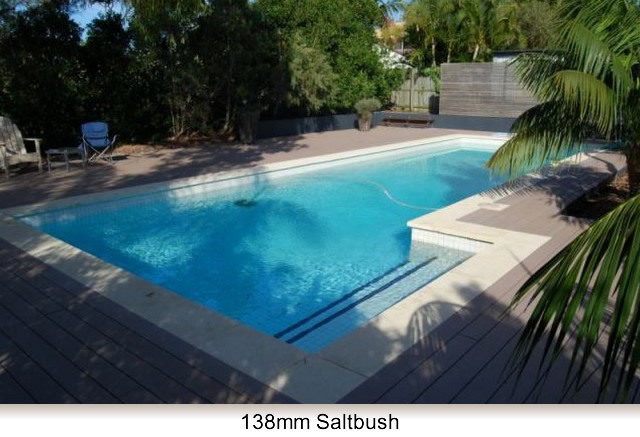 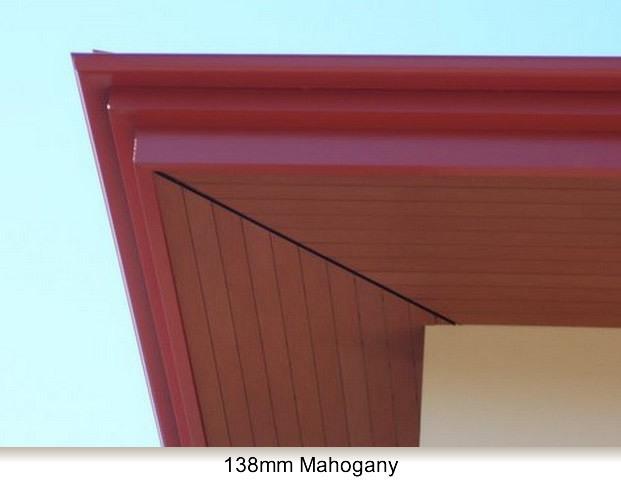 Either side can be installed giving you the flexibility to choose which side wood aesthetically suit your project best. 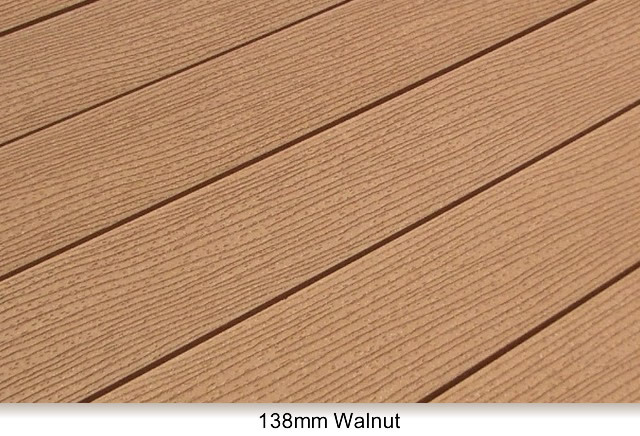 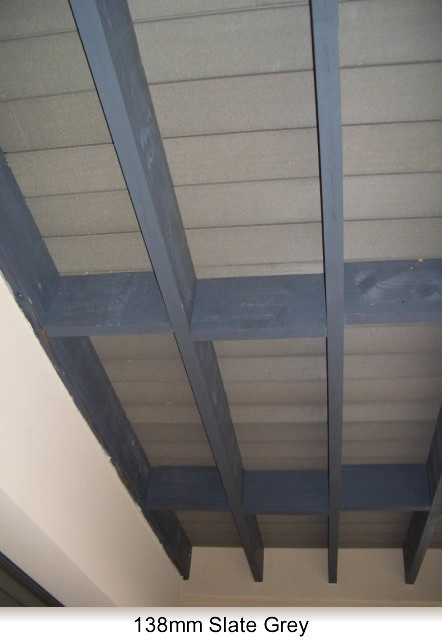 Note: The weathered effect occurs over the first 4-12 weeks that your Futurewood product is exposed to the elements. 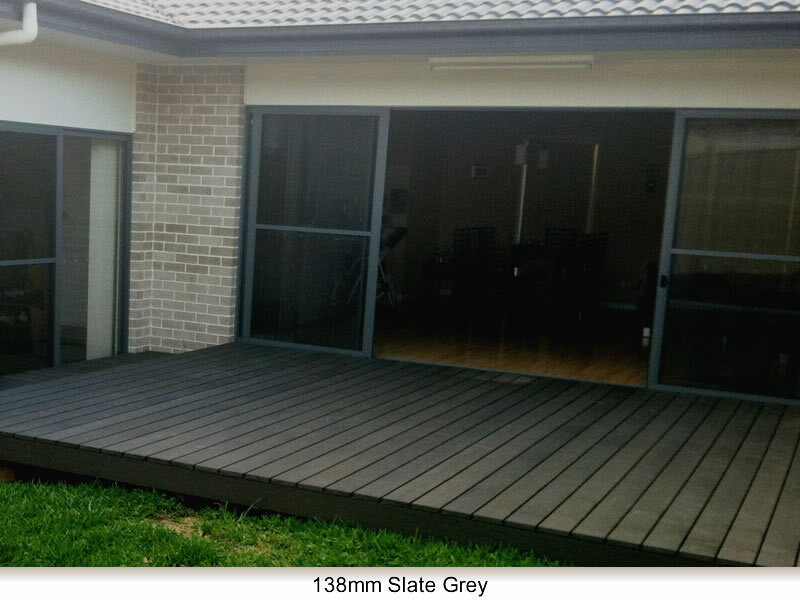 Colours shown are a printed representation only. 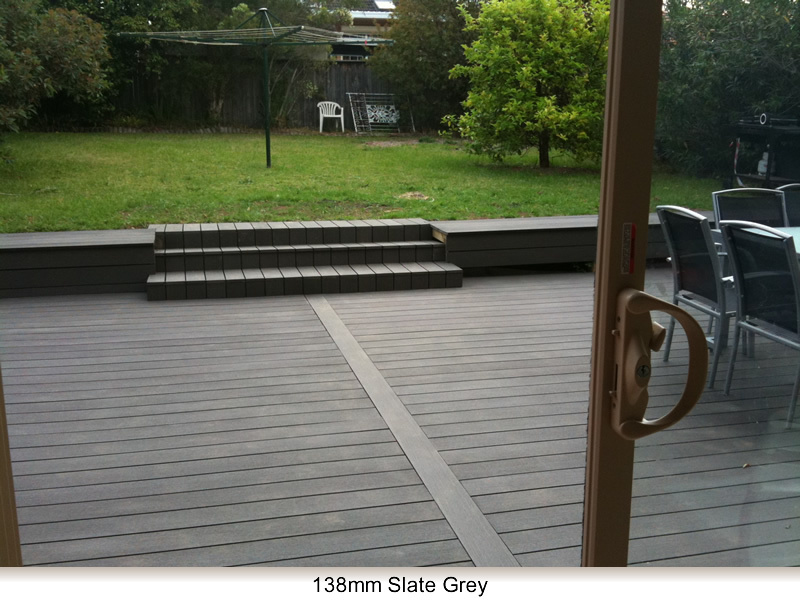 Actual colour samples are available on request. 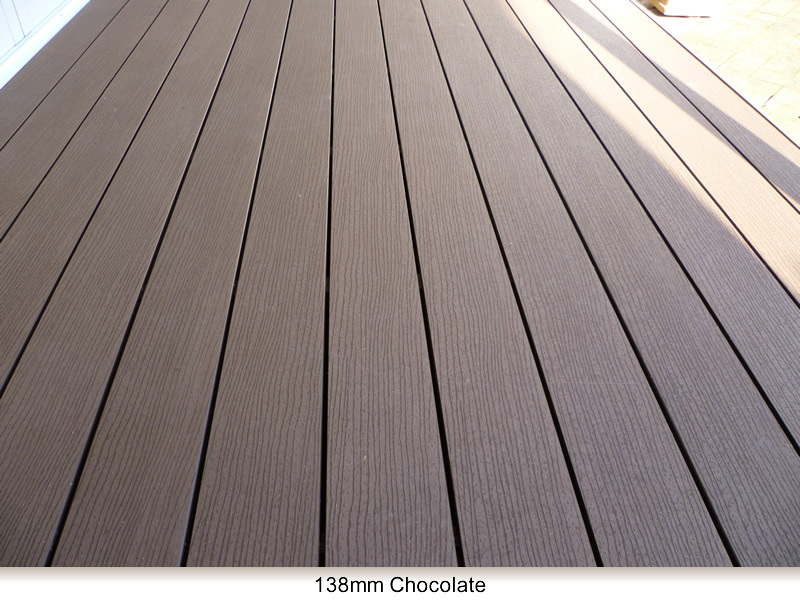 The standard stock size available is 138mm x 23mm x 5400mm. 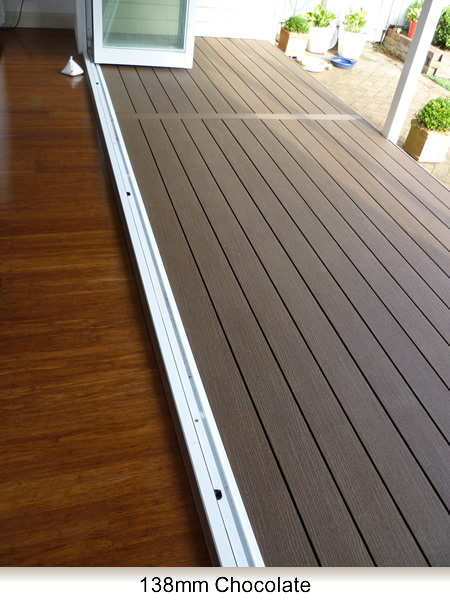 If this size does not suit, we can customise the length of the boards for you. 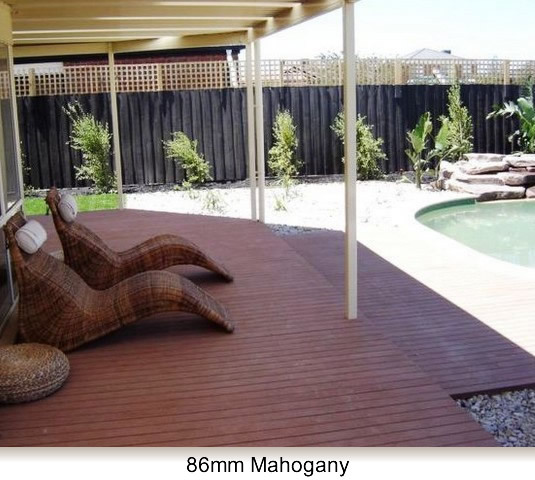 Please note minimum quantities and conditions apply. 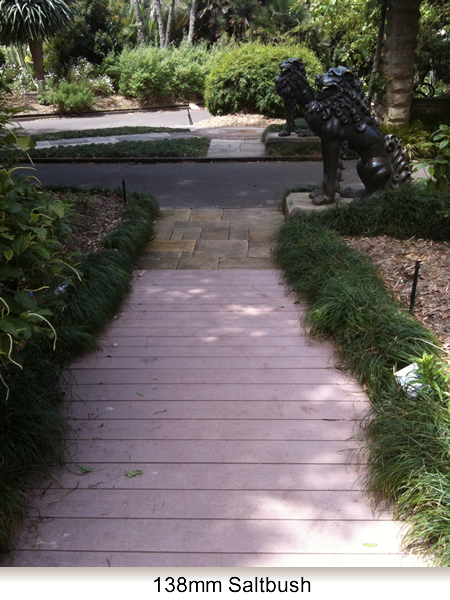 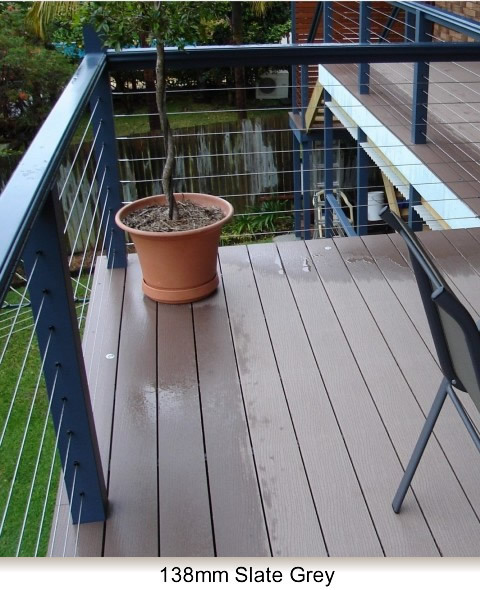 Installing your Futurewood deck is a quick and simple process with the NewTech deck clip system. 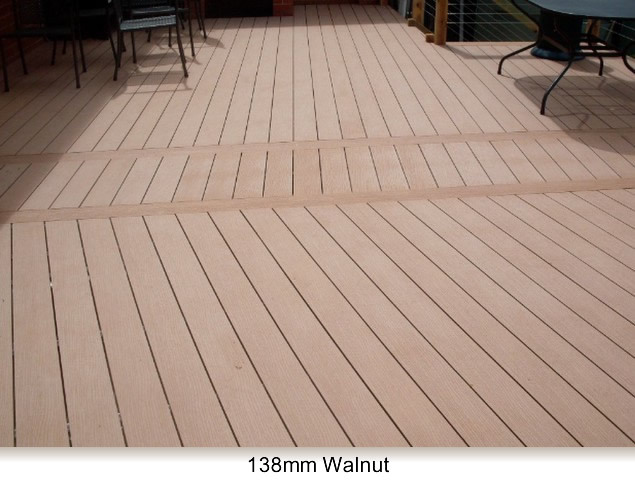 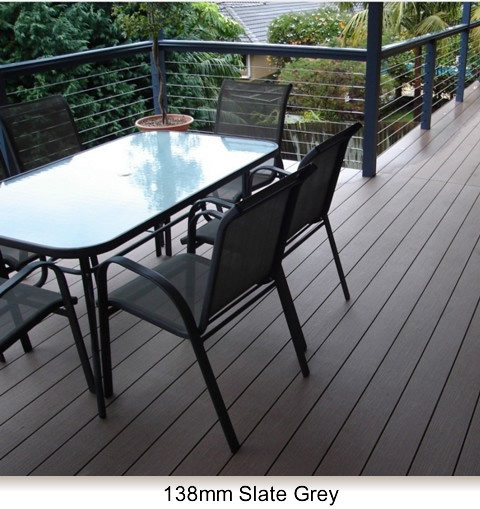 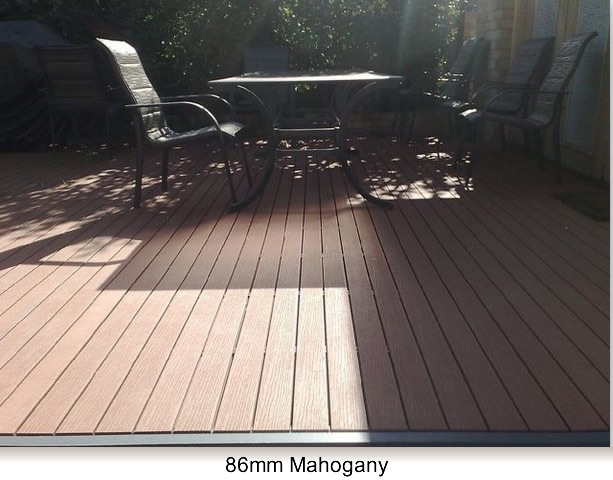 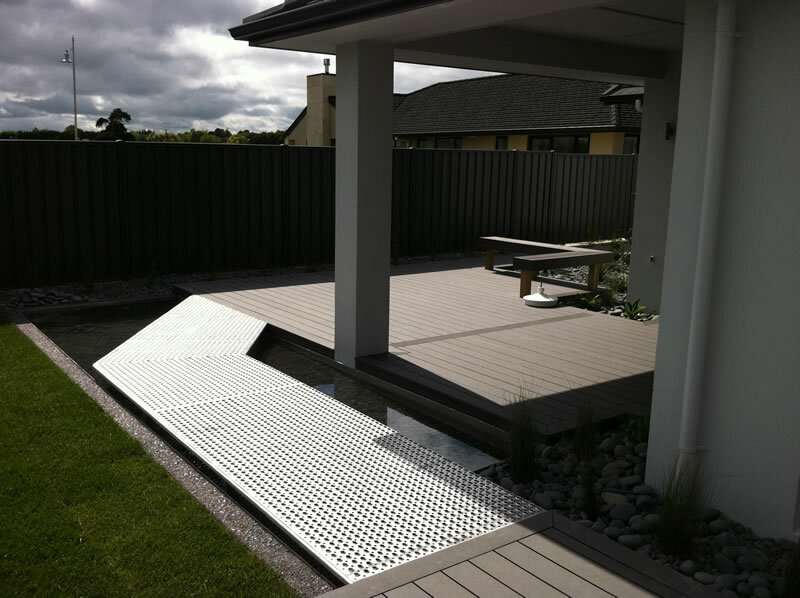 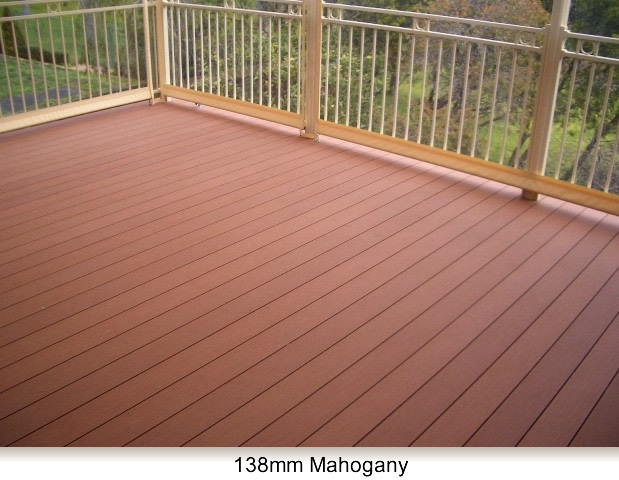 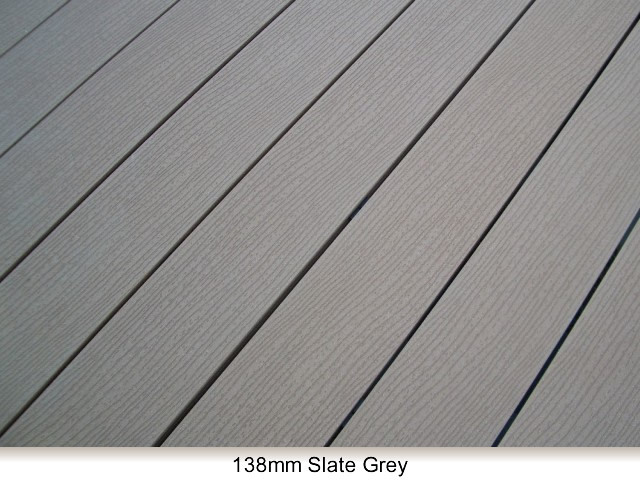 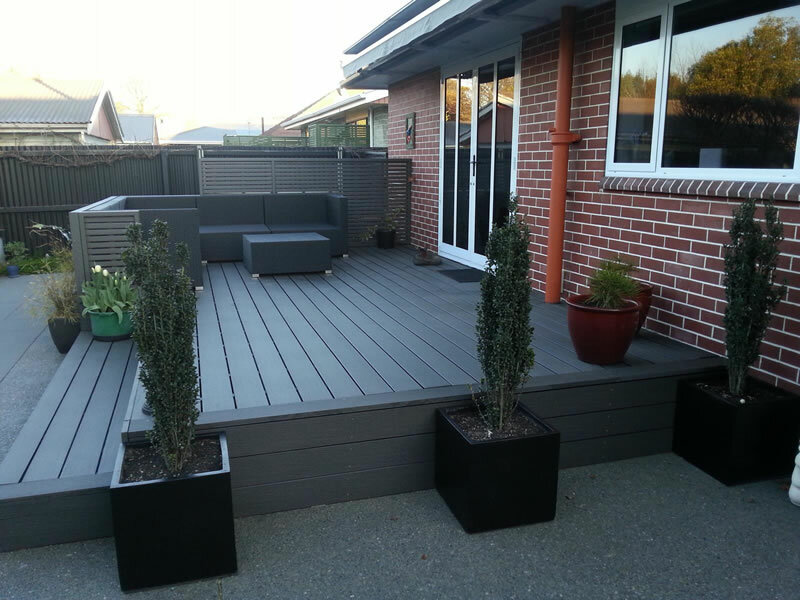 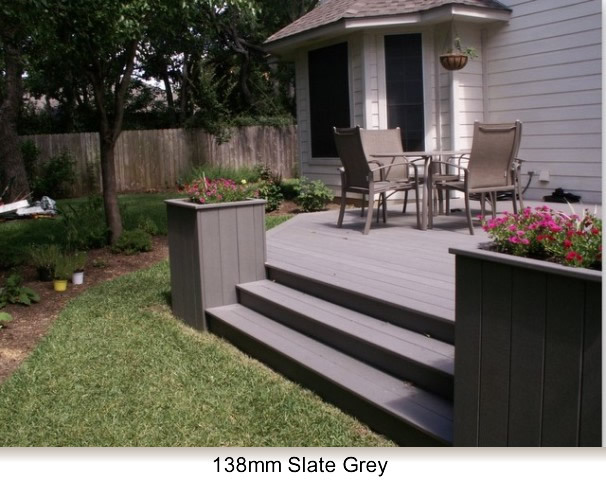 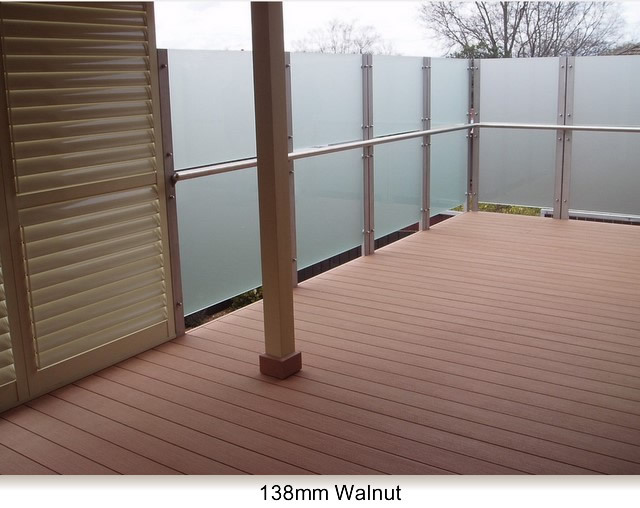 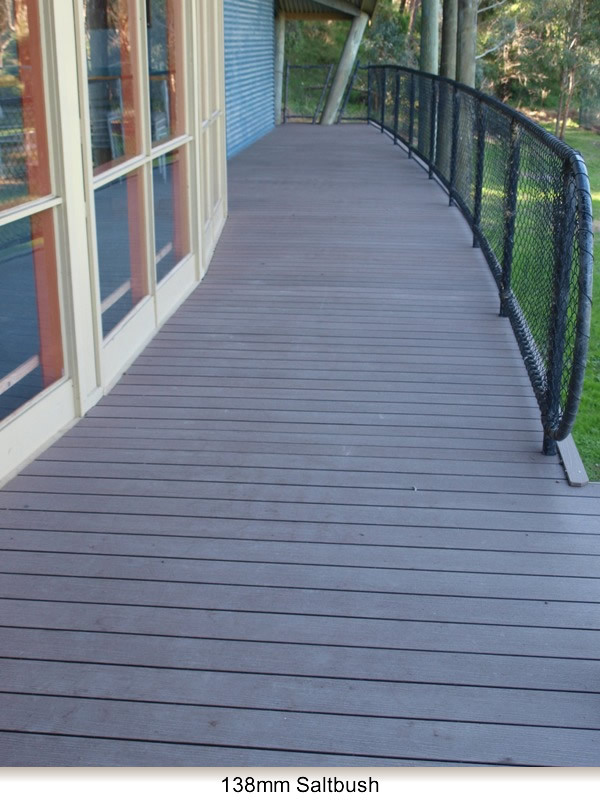 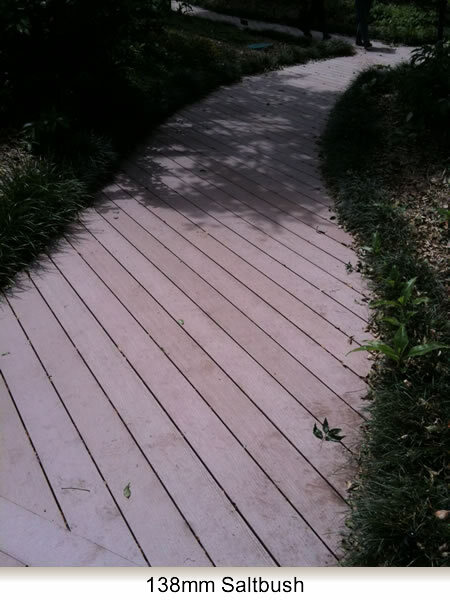 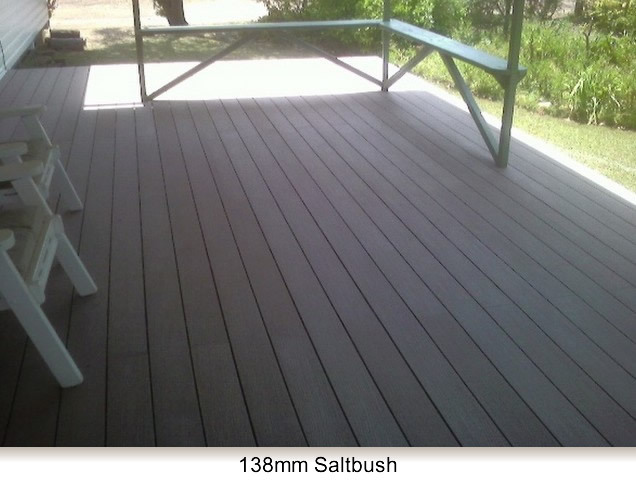 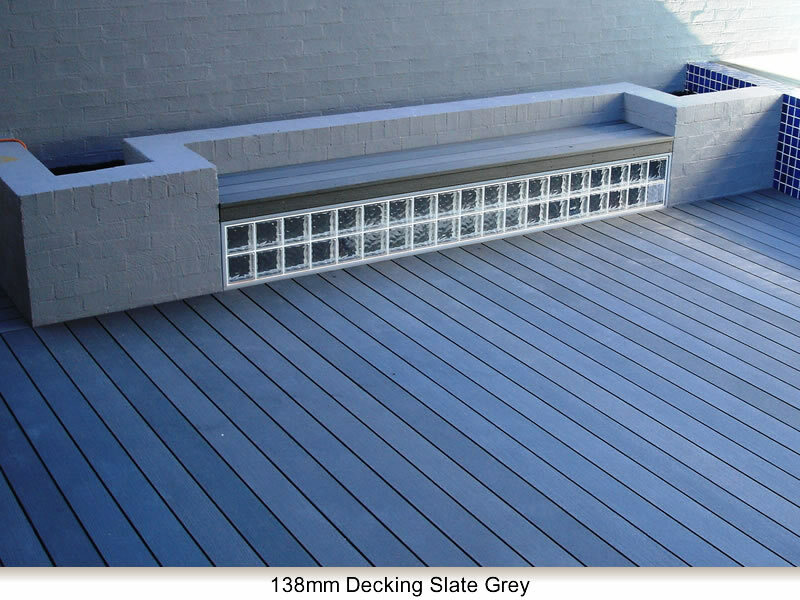 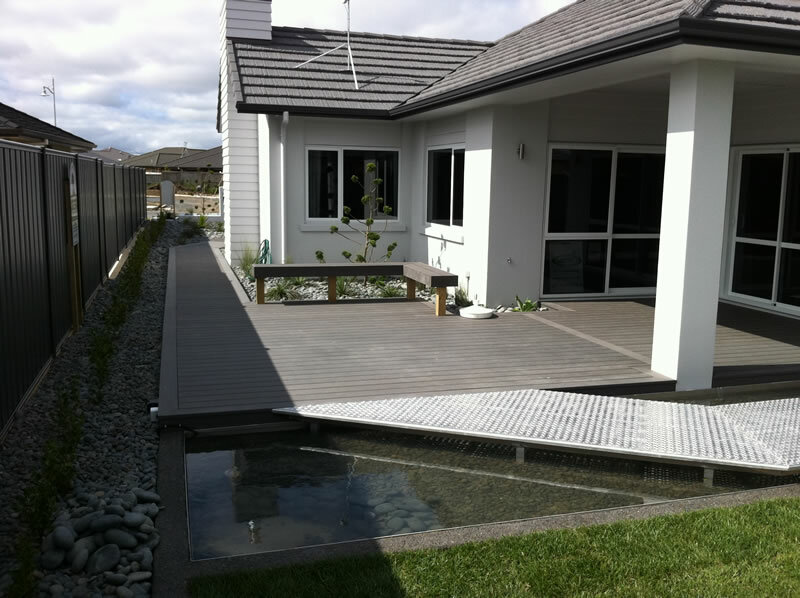 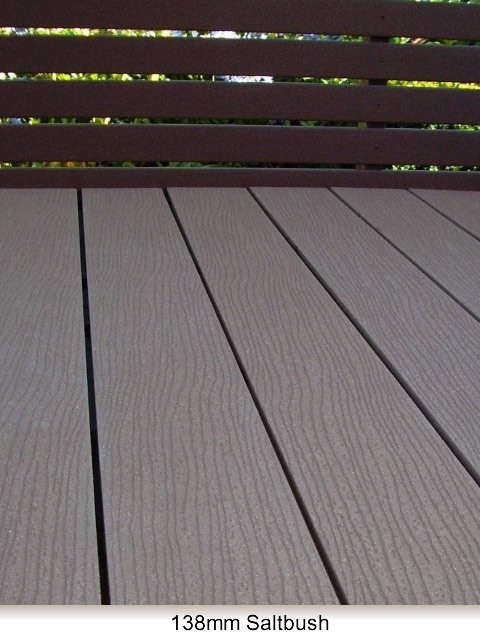 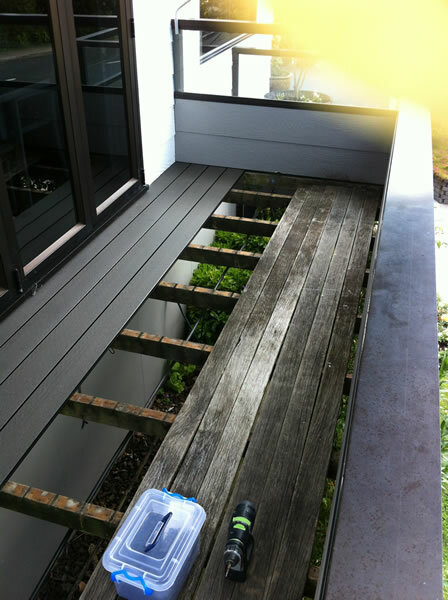 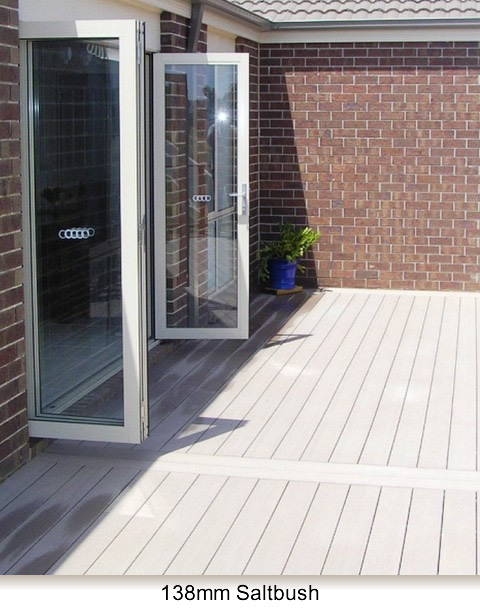 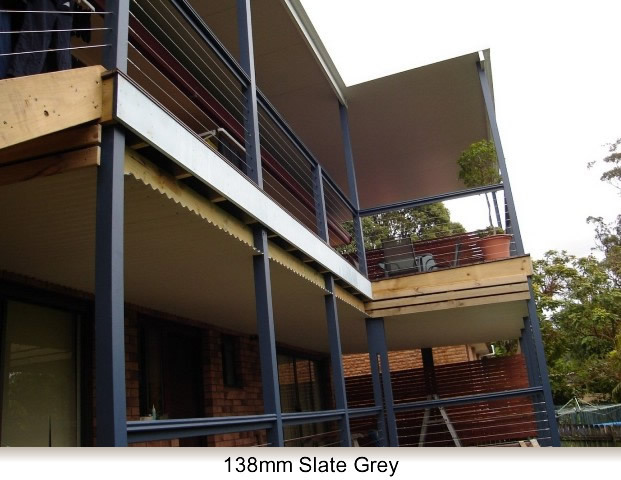 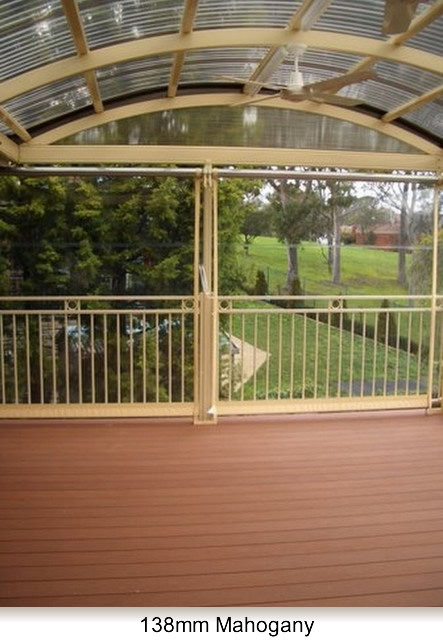 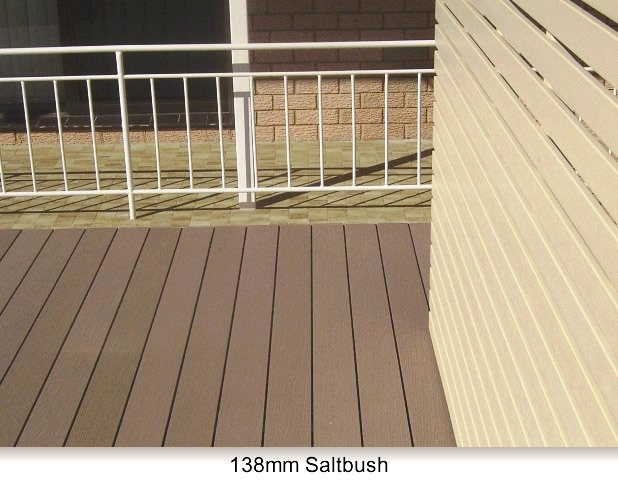 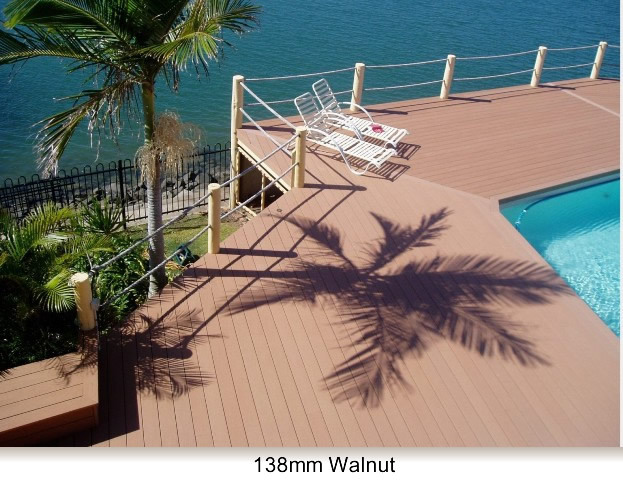 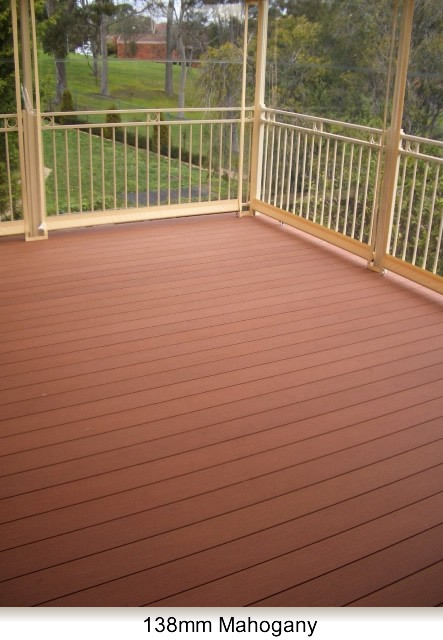 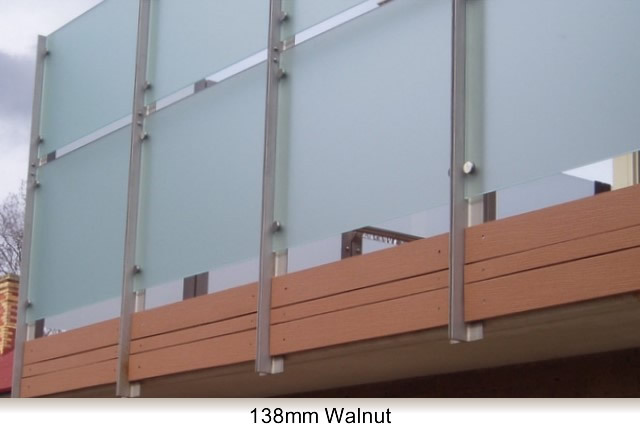 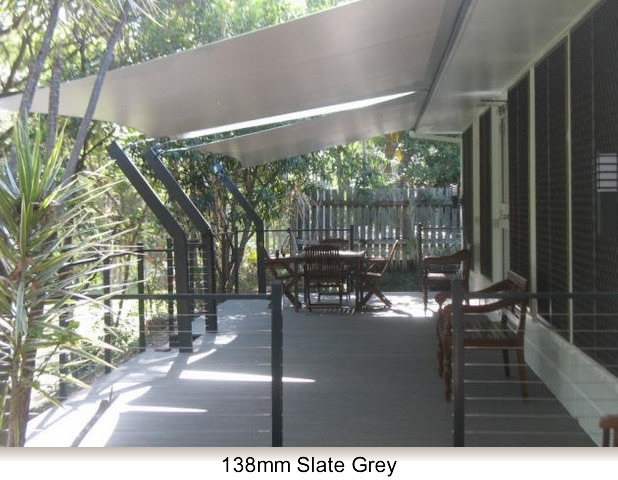 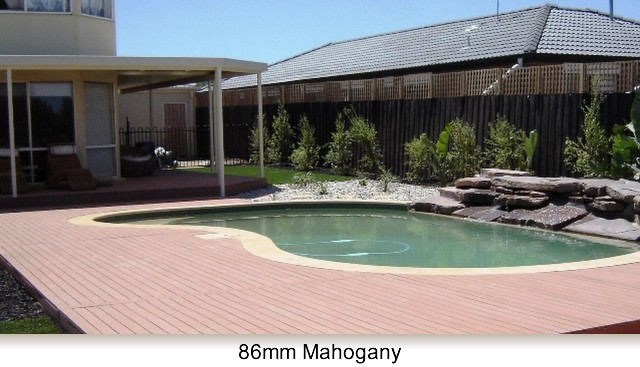 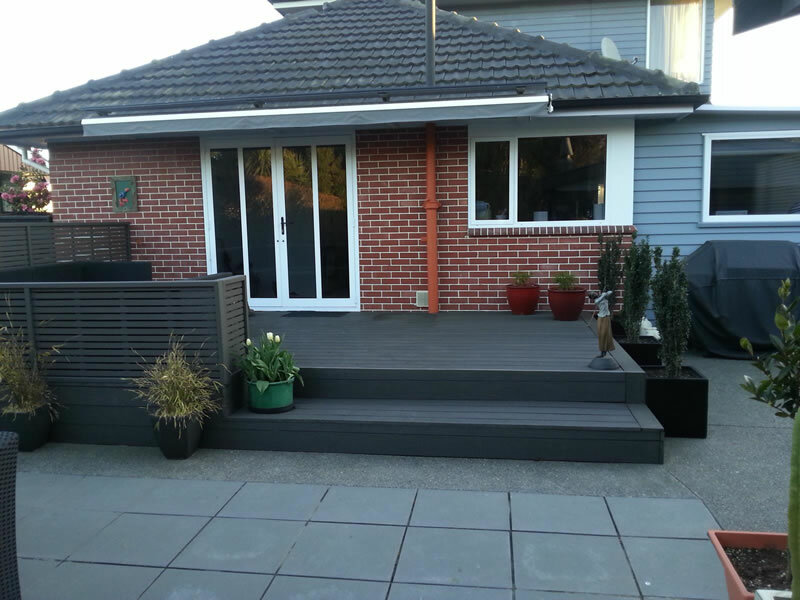 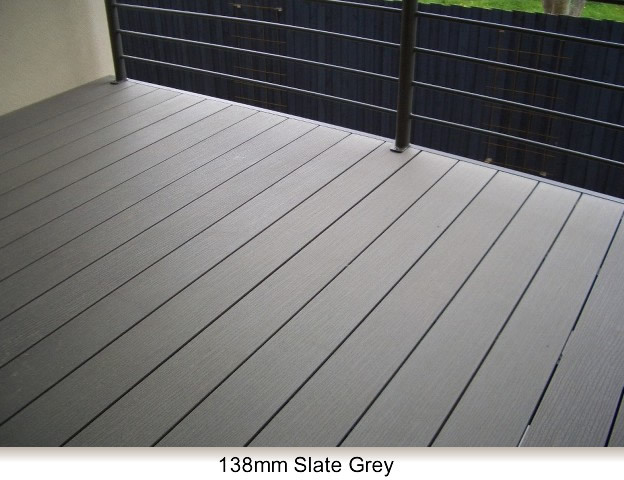 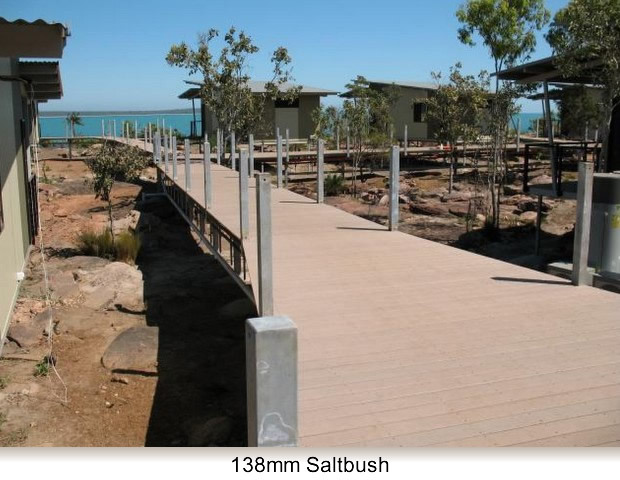 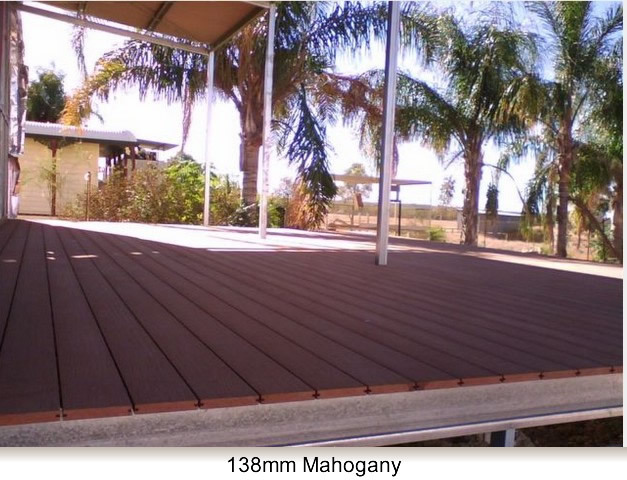 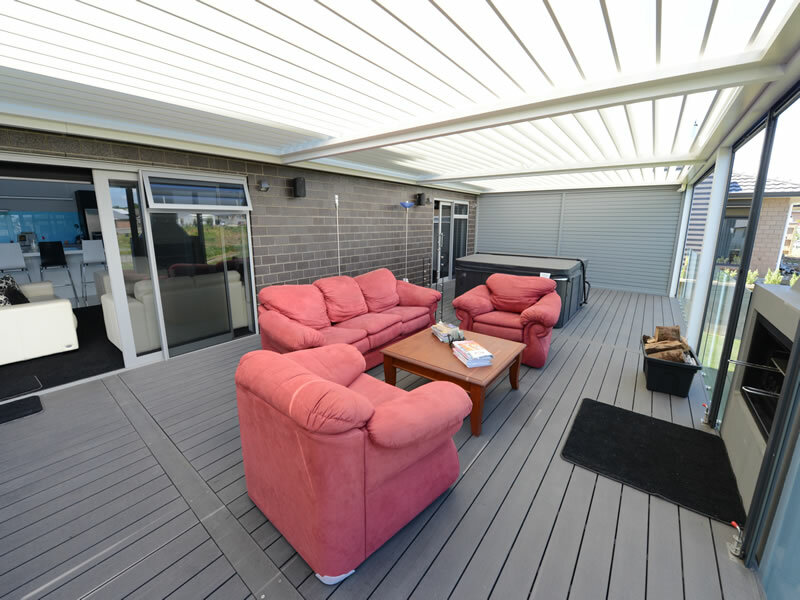 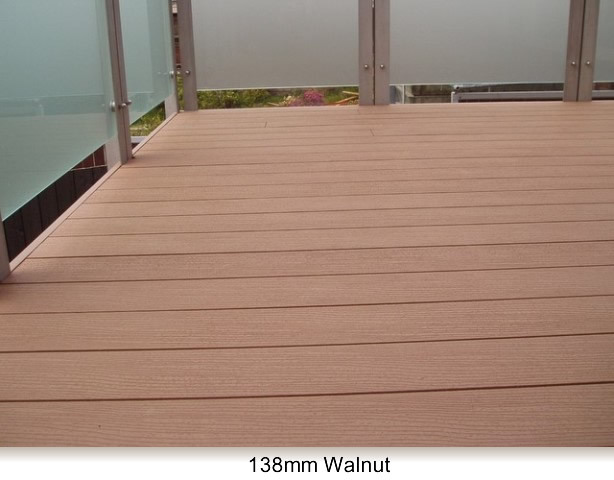 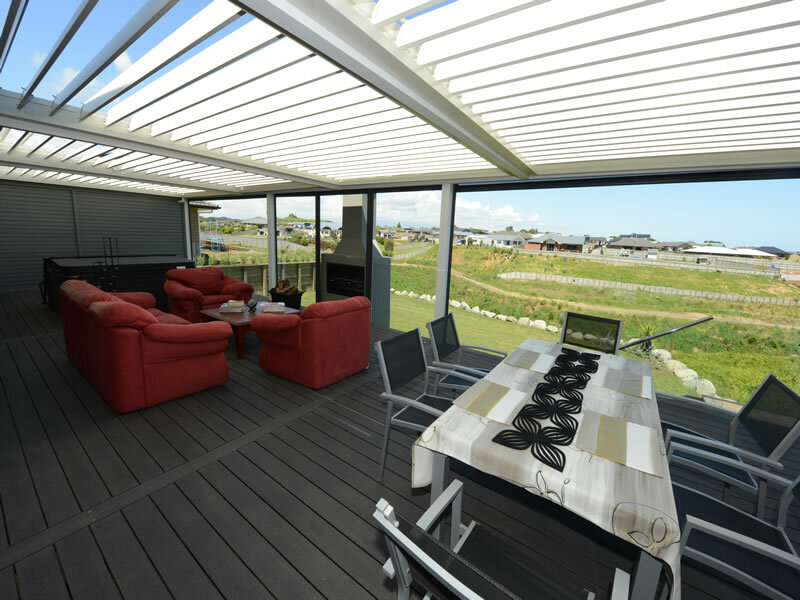 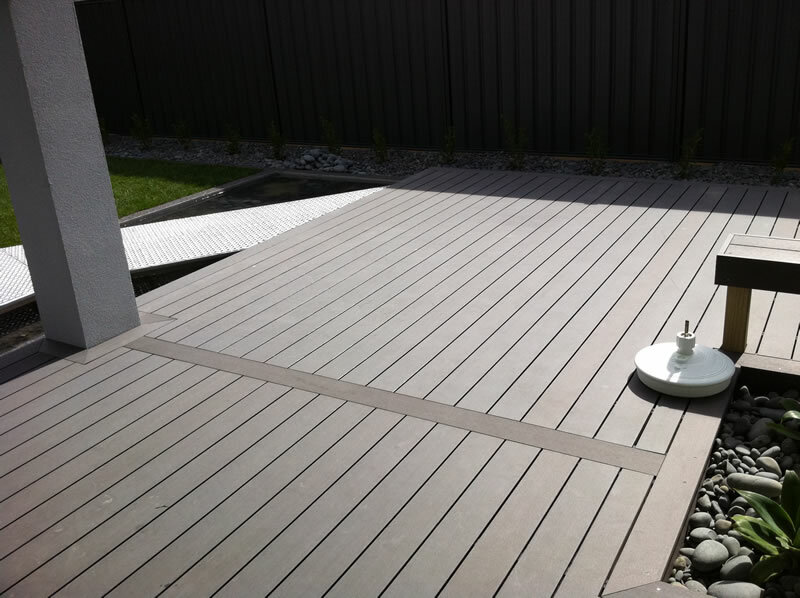 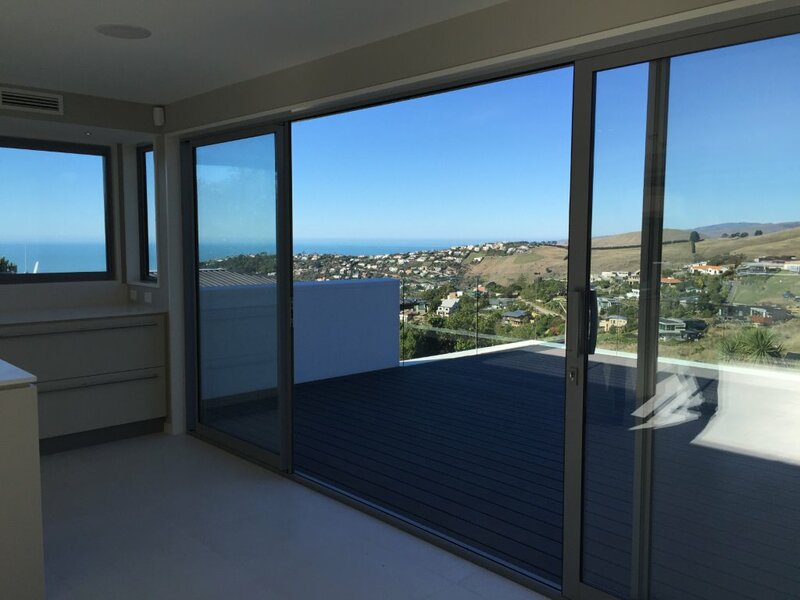 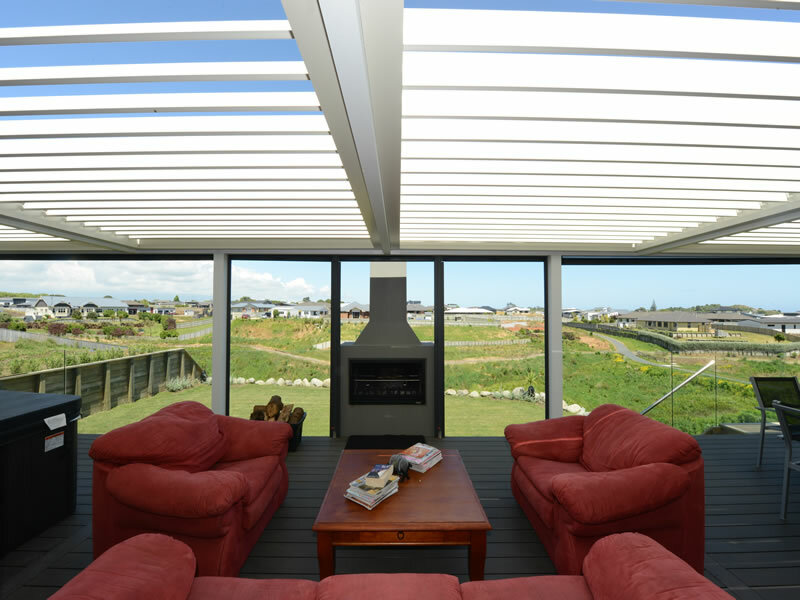 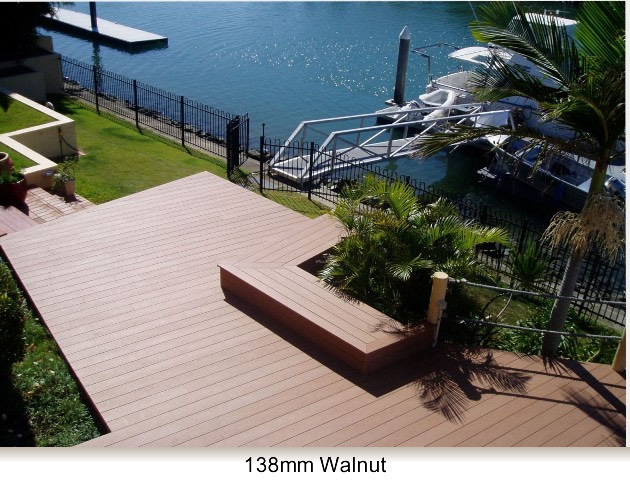 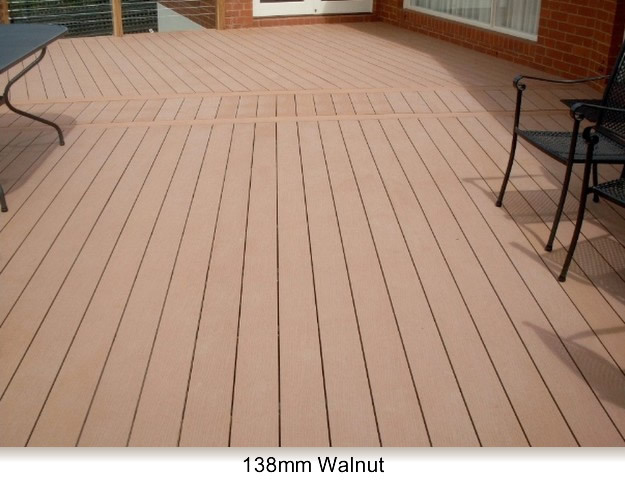 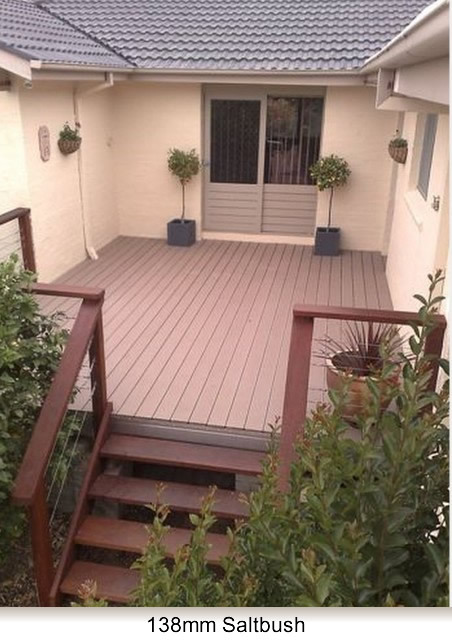 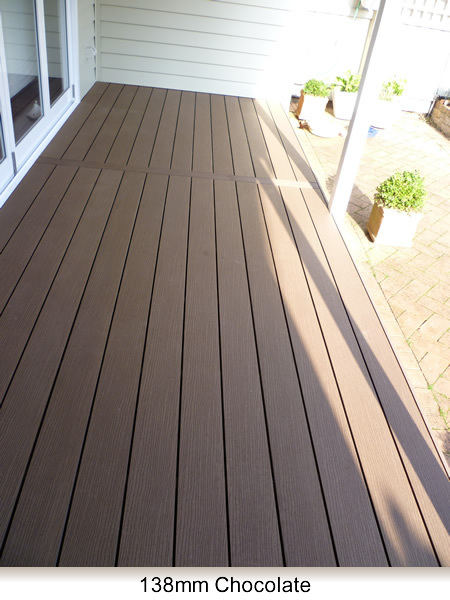 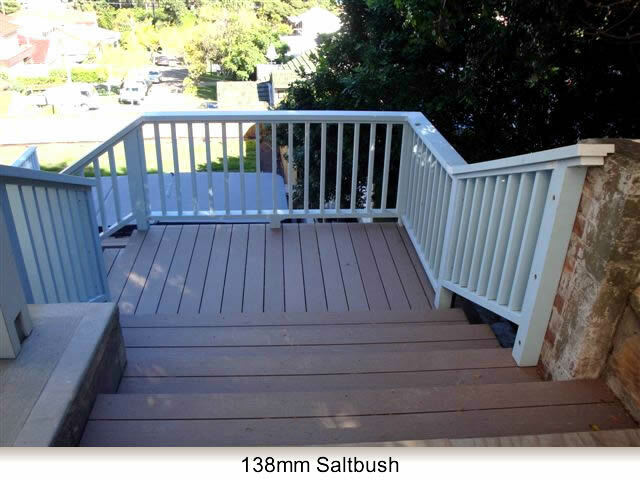 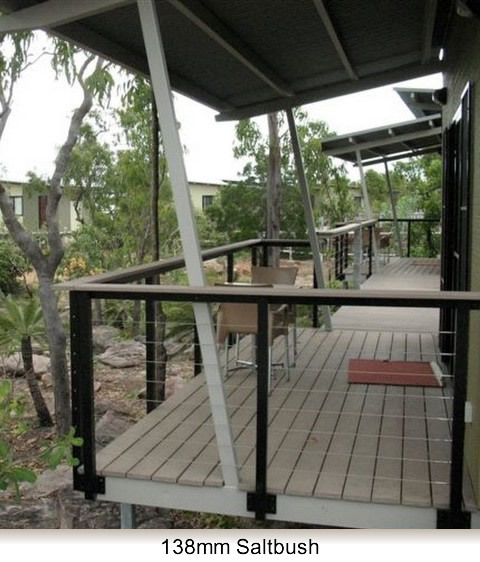 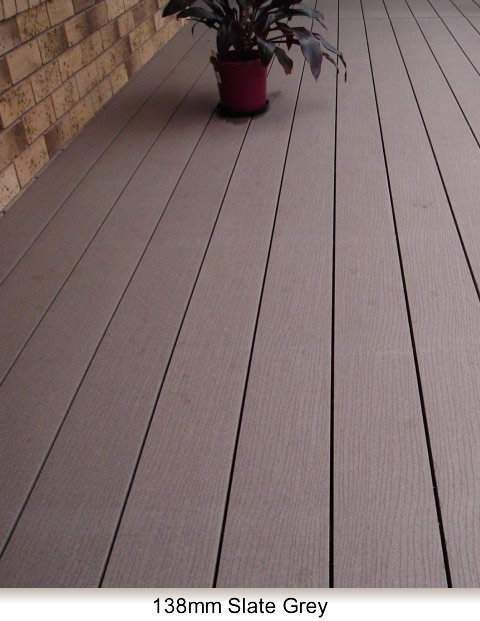 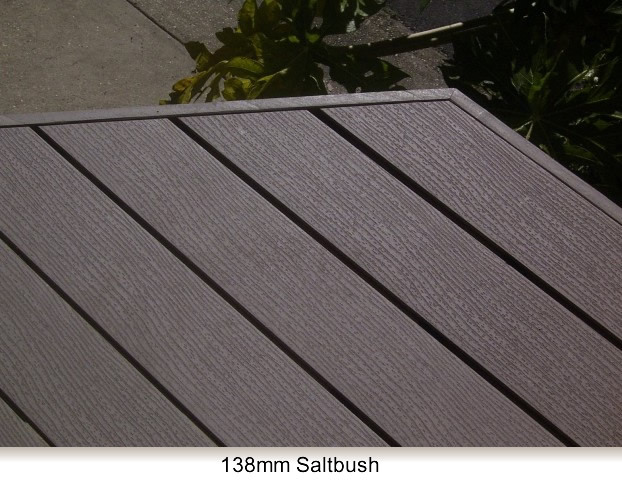 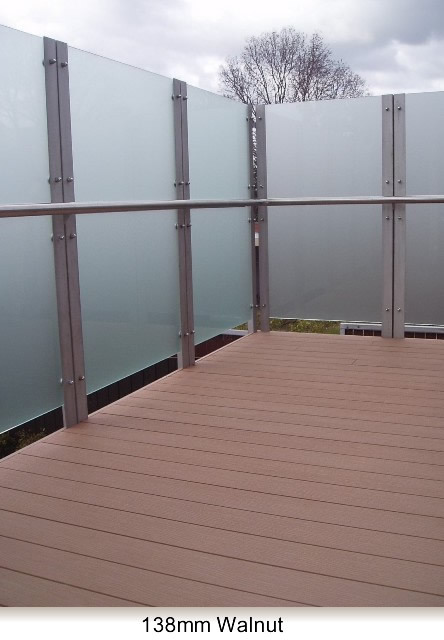 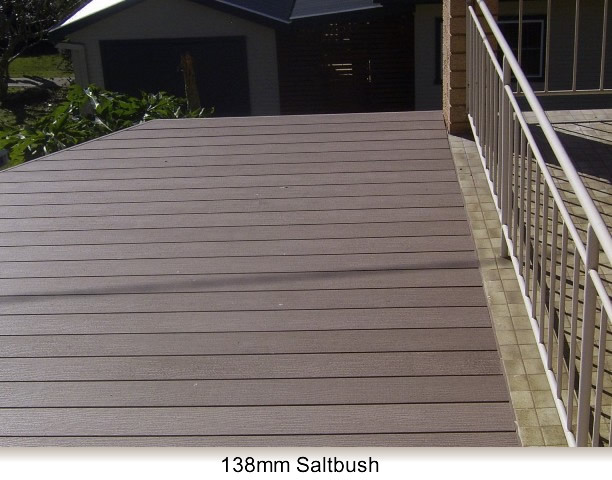 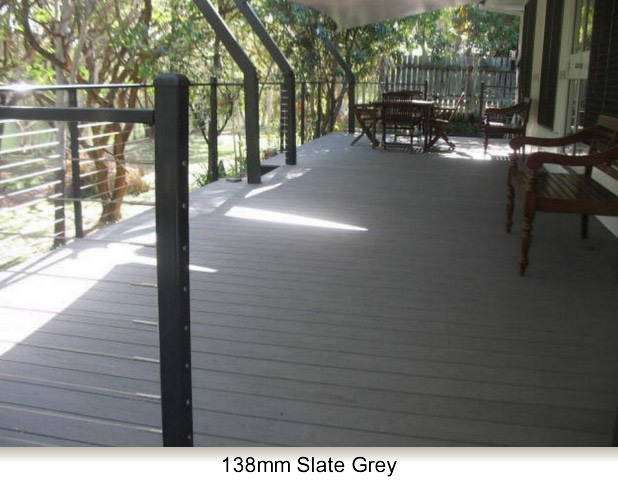 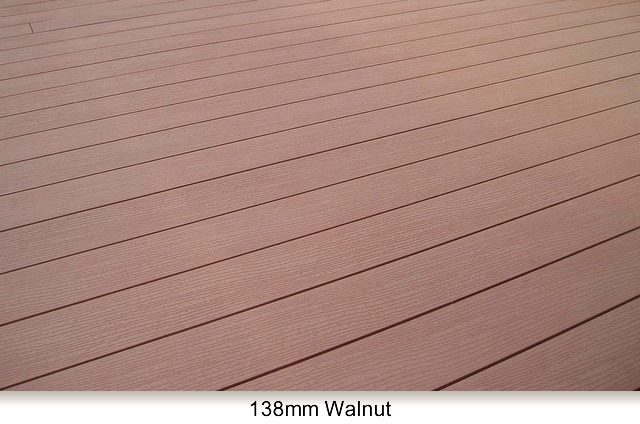 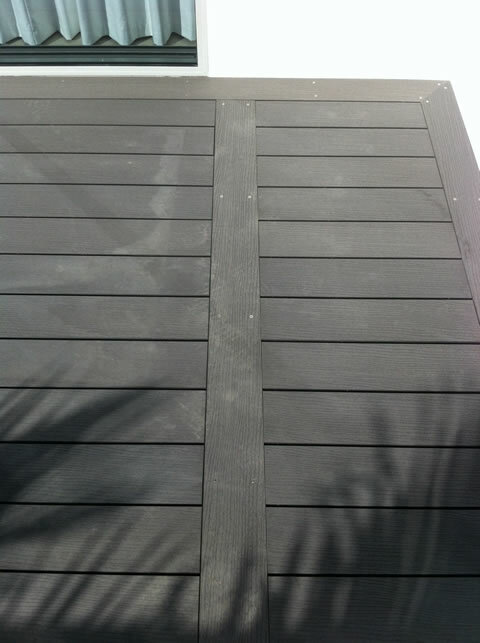 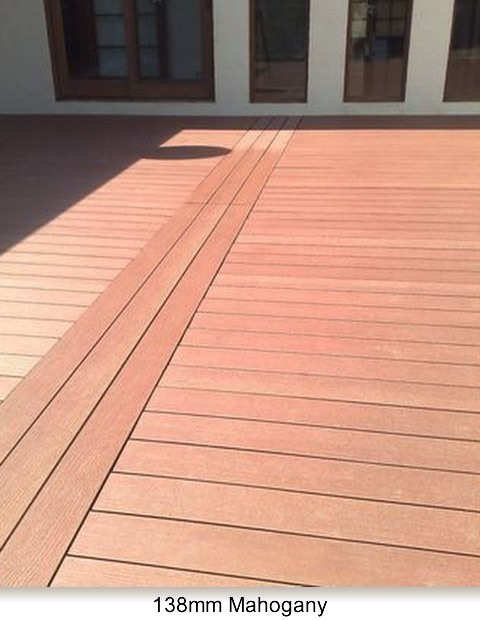 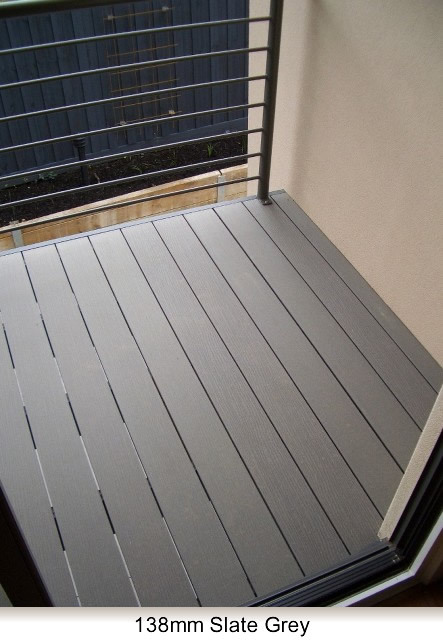 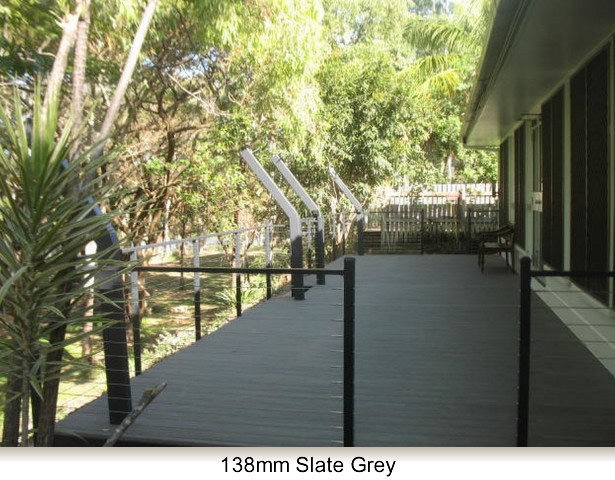 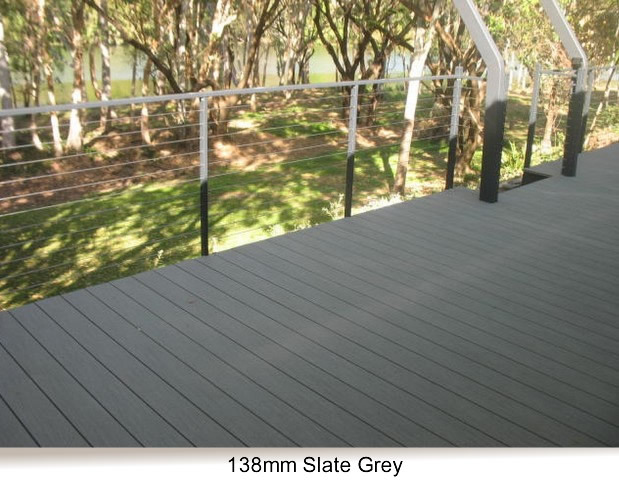 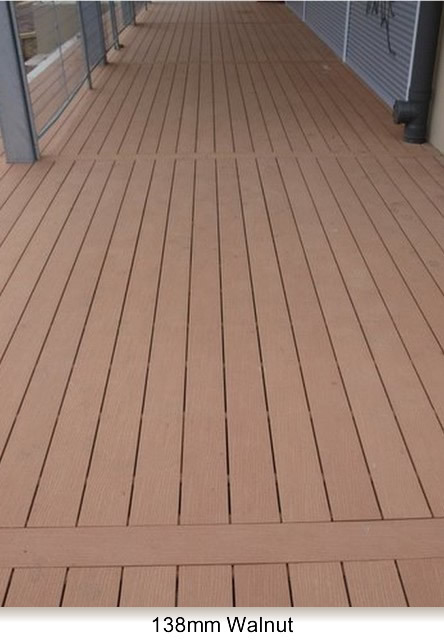 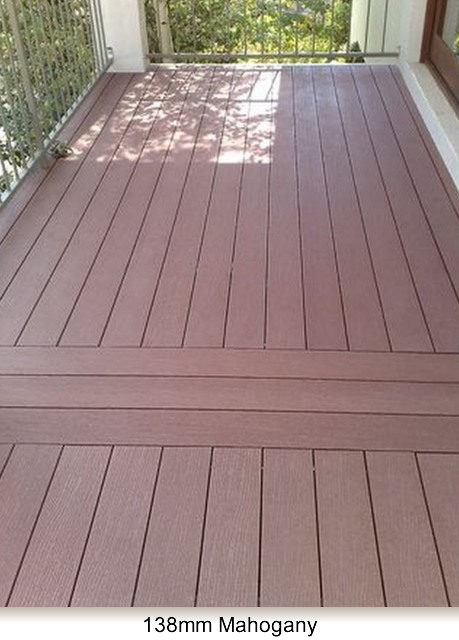 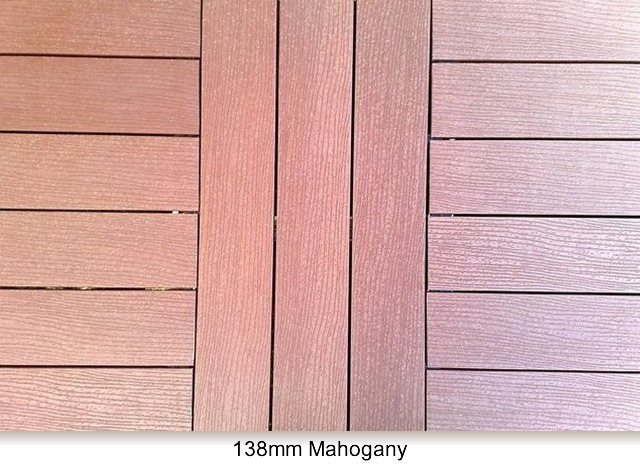 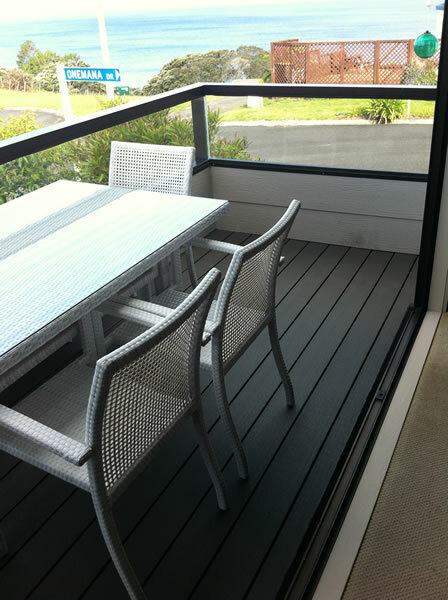 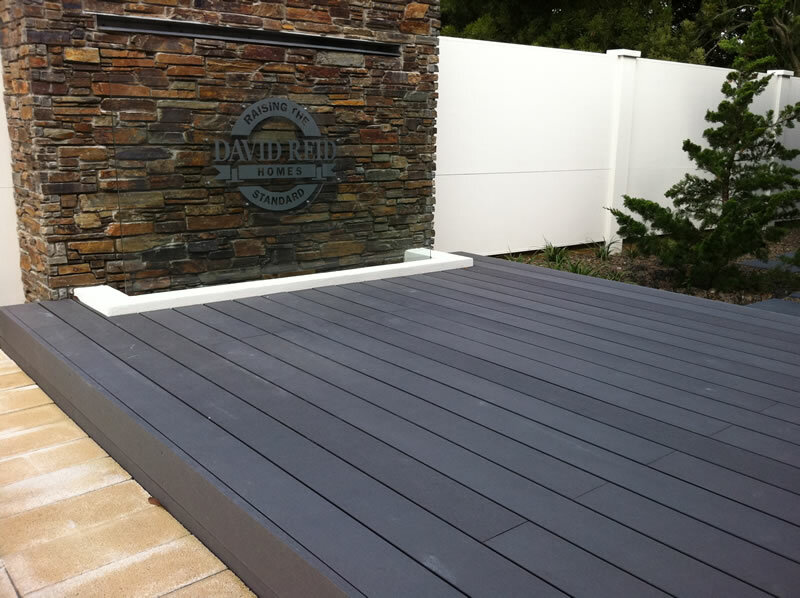 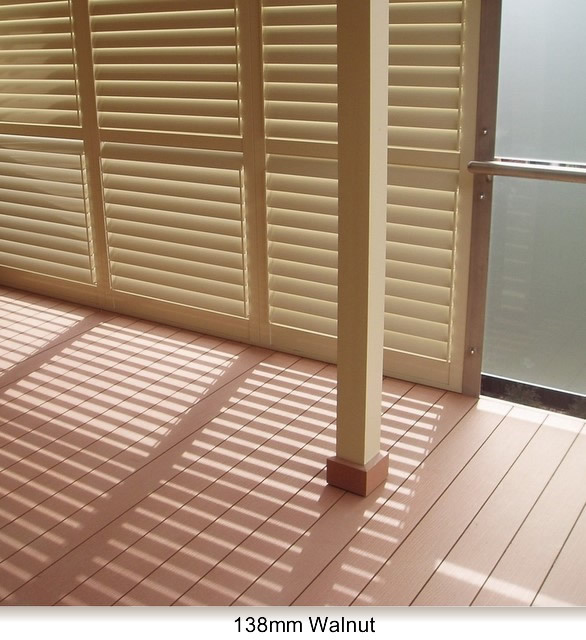 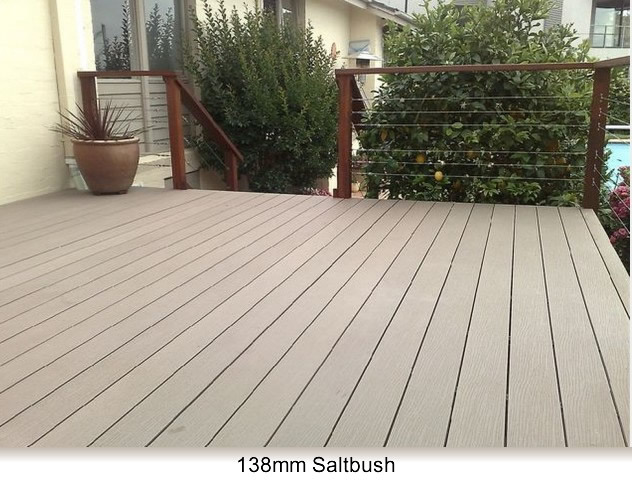 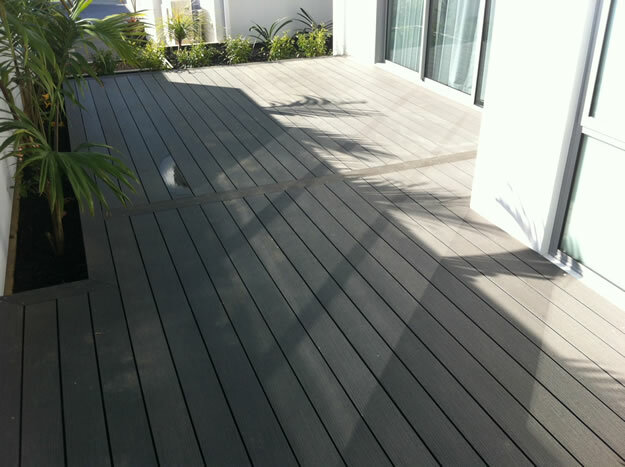 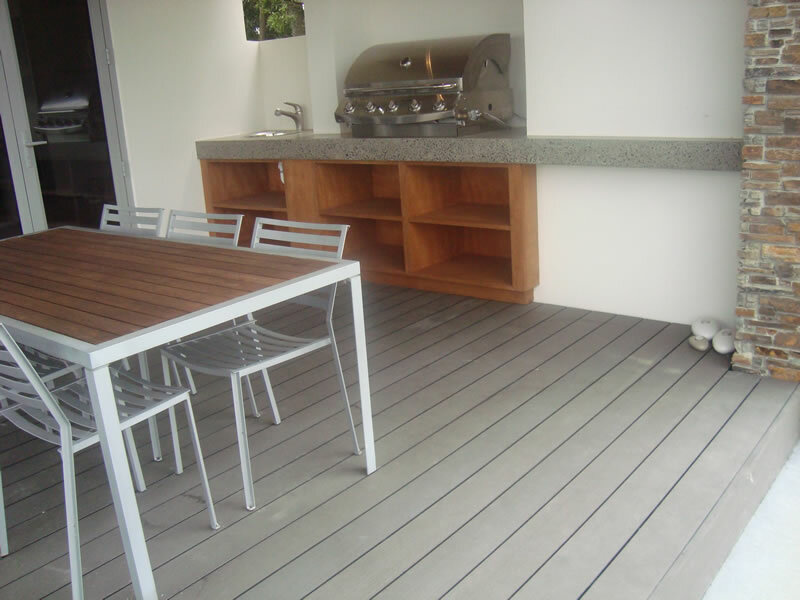 This fixing system is completely concealed, giving you a cleaner and more stylish looking deck.